Online interactions today may be leading to future consequences. 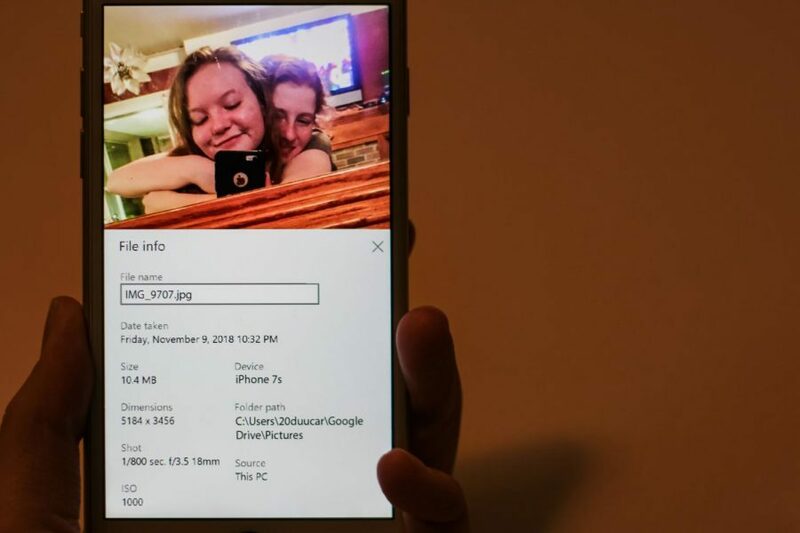 To gain a snapshot of teenage life, The Washington Post followed Katherine Pommerening of Virginia, as she woke up to open Instagram on her birthday. She spends time on her phone when she can at school and on the drive home. 95 percent of teenagers have a smartphone, according to the Pew Research Center. People of all ages use them to watch videos or listen to music at the press of a button. They can connect on social media apps like Instagram and Snapchat. Nearly half are almost constantly online. With easy accessibility, young people must grapple with using digital tools effectively for the future. Landa Williams, founder of LandaJob, a marketing and creative talent firm, explained the basis of digital citizenship — using digital media with moral consciousness. “Thinking before you act is probably the best piece of advice,” Williams said. Williams explained the lack of control in digital media, stemming from tagging features on apps to digitally permanent messages. Principal of academic affairs Barbara McCormick, who led digital citizenship workshops, referenced an article which explains the importance of safeguarding from future repercussions. Workshops were held during school hours for students and for parents to attend additionally. Senior Lucy Whittaker also explained the role digital media plays in the future, especially for young people applying for jobs or colleges. Whittaker also referenced “cancel culture,” in which people are no longer supported by others after finding problematic evidence, typically on social media — where information also has a digital footprint. People are “cancelled” when information is made public that draws heavy criticism and shunning. In February 2019, photos surfaced of Virginia governor Ralph Northam, in blackface and with Ku Klux Klan hoods from a school yearbook of 1984. This caused public outrage and calls for his resignation. Sparking massive debate, politicians have weighed in on the issue, sharing their opinions on Northam’s photo. In a Washington Post article, Virginia Senators Mark Warner and Tim Kaine as well as Representative Bobby Scott shared their views on Northam’s decision not to resign. “Without the internet that incident probably wouldn’t have blow up like it did, or it may not have even been discovered,” Whittaker said. McCormick explained the reasoning for educating high school students on digital citizenship as a way to prevent issues from escalating. Williams described the connection between preserving memories digitally today and before the digital age, explaining how it is impacted by the digital age. Whittaker explained the importance of digital citizenship for the future, in providing a possible solution to preventing issues. “We can have the best technology and the most tech in the world, but if no one knows how to use it responsibly — it can do more harm than good,” Whittaker said. Whittaker described how online interactions can also generate positive awareness. “For example, the #MeToo movement really took off online and in my opinion was a positive reaction,” Whittaker said. “I think because it was on the internet, it gave people the courage to speak up because they knew that there was a community to back them up. The internet has been able to shed light on whatever topic is pertinent at that time,” Whittaker said. Whittaker also added how she sees the future of digital interactions changing.